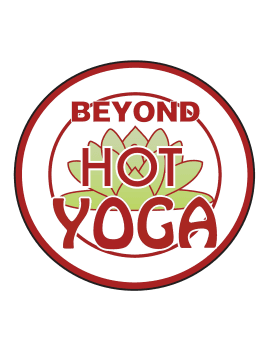 Beyond Hot Yoga has a full-time nutritionist on staff to help guide you toward a healthy lifestyle using the Metagenics Nutritional supplements. Beyond Hot Yoga stocks a full pharamacy and supply of Metagenics products. We’ve built a reputation on nutraceuticals and medical foods that meet the high expectations of health care professionals worldwide. But what we care about most is serving the best interests of the patients who use our products and services with a goal of improving health and reversing chronic illness. We don’t compromise on safety, efficacy, or quality—to make sure that we deliver the best results possible. Time after time. Bottle after bottle. We carefully monitor all products to assure purity and safety, from formulation and ingredient selection all the way to the final product. We offer more than just products. Our strong focus on research keeps us on the leading edge of the current evolution in personalized medicine. Our in-house team of highly regarded clinicians and scientists is actively developing breakthroughs in nutrient modulation of gene expression to help us create even more effective health care solutions. We offer more educational support for health care professionals than anyone else in our field—keeping them in touch with the latest research and nutritional approaches to help manage today’s most common illnesses. With our renowned in-house experts, including Dr. Jeffrey Bland and many other opinion leaders, we provide education through seminars, workshops, webinars, symposiums, and other venues. See why more health care professionals and patients select Metagenics over many other professional brands. You’ll be glad you did. Find the natural path to improving health and reversing chronic illness. From overviews on our science-based lifestyle programs to address common health concerns to innovative nutritional formulas that perform like no other products available anywhere. Only your health care provider can customize a personalized plan for you with our programs and products. We can help you prepare for and understand some of the key recommendations your doctor may make. Visit the Metagenics web site for more info.